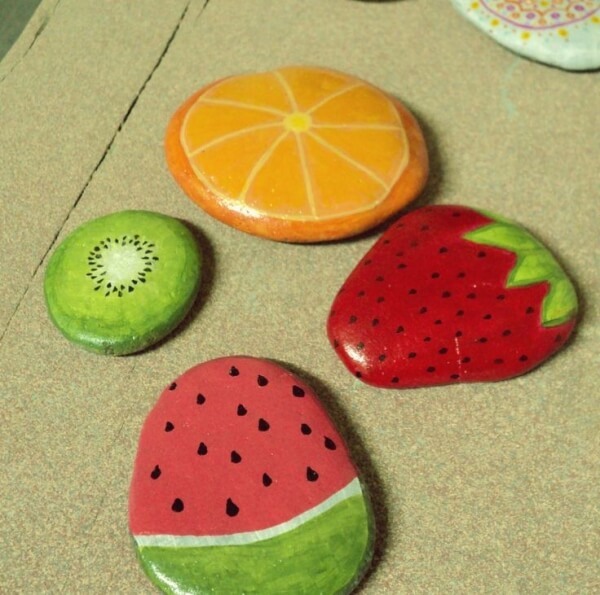 Looking for new ideas for rock painting? 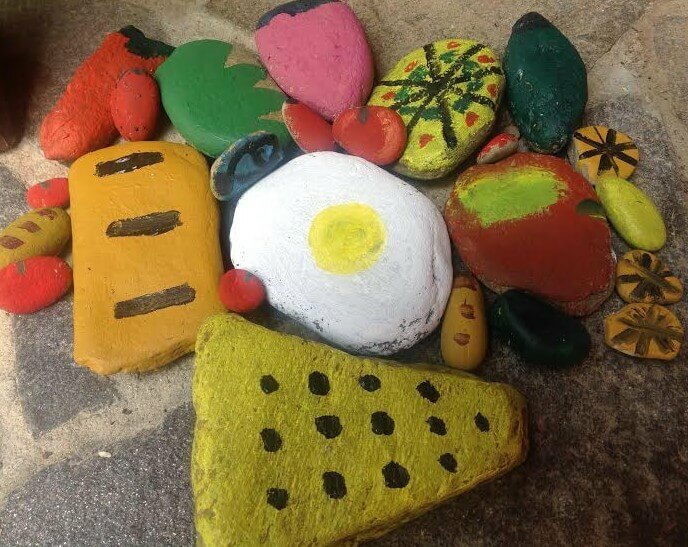 In case you have not heard of this new craze, people are painting rocks and leaving them in places for others to find and put a smile on their faces. I love this simple and positive way to spread cheer. 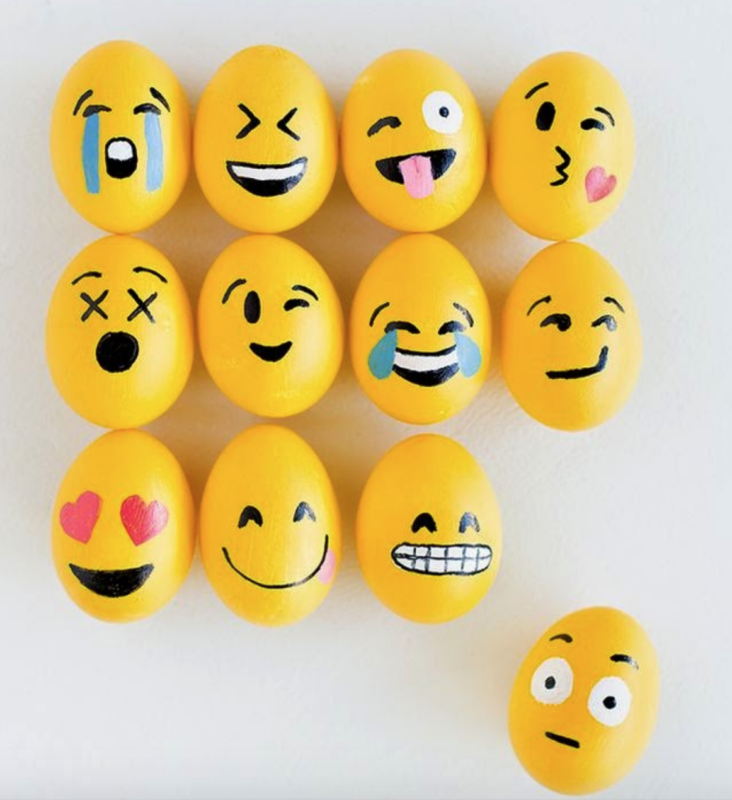 This is a great creative activity for both kids and adults. 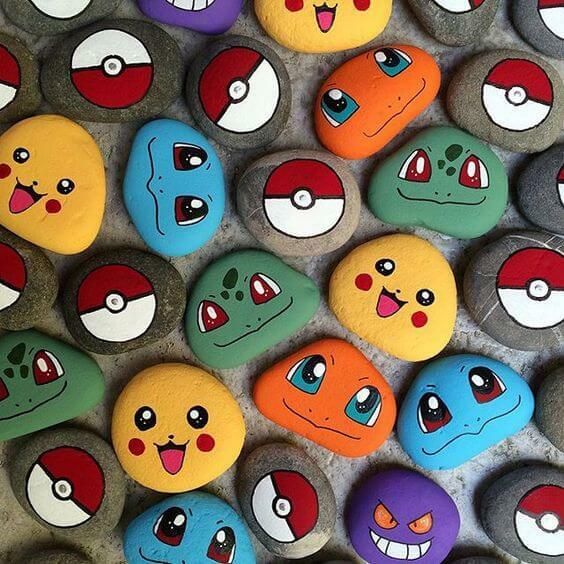 It makes absolute sense that a popular form of communication would be a hit for rock painting! 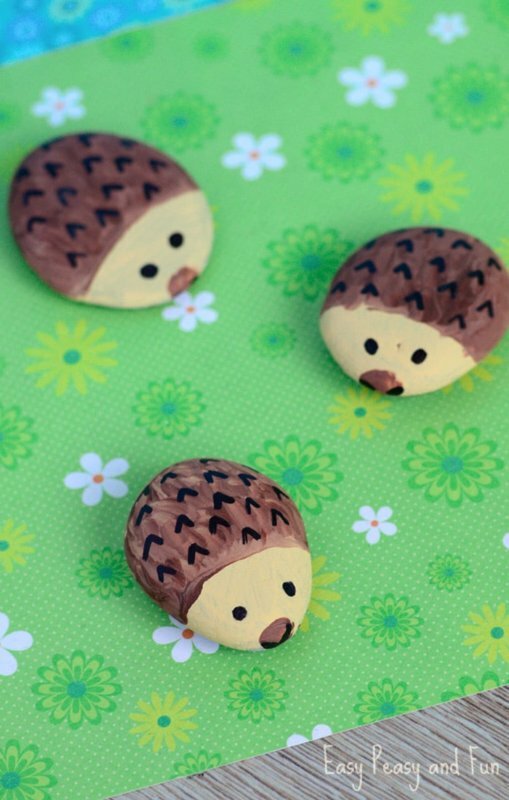 These are so easy to make and adorable! I love how simple the snowy owl is to make. I love the explosion of color on these. 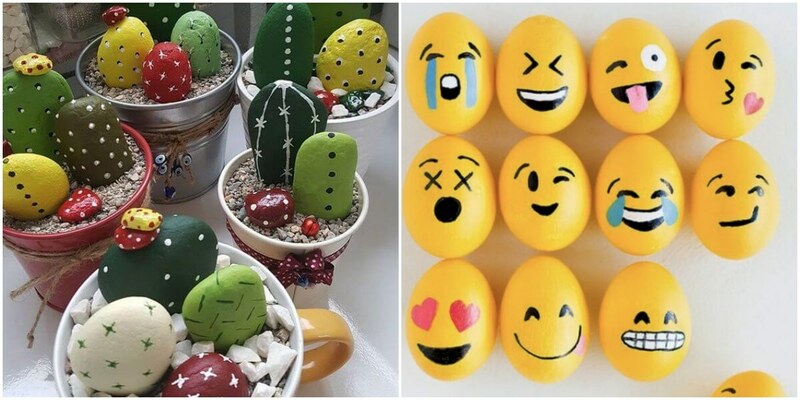 I love this idea, and I know my kids would too. 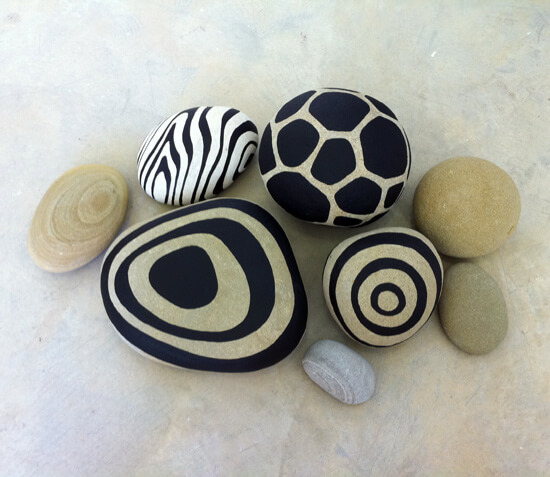 These would make for a great room accent in a little bowl. 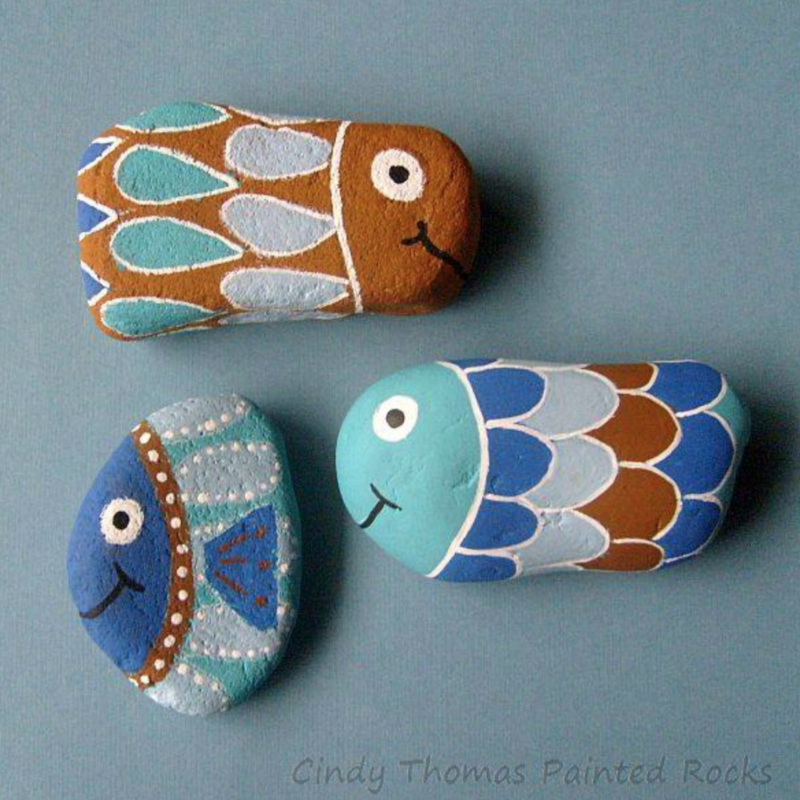 Play around with colors and you could make a nice sea creature collection. 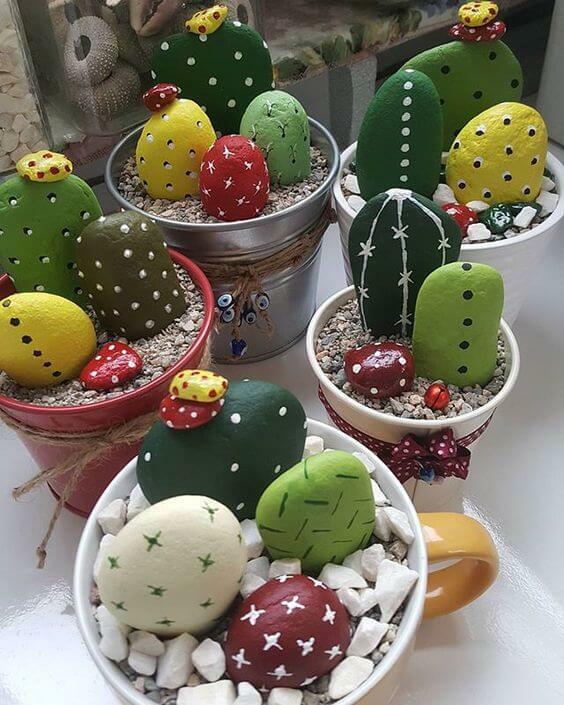 Painted rocks and turn them into a rock garden for a sweet windowsill addition. 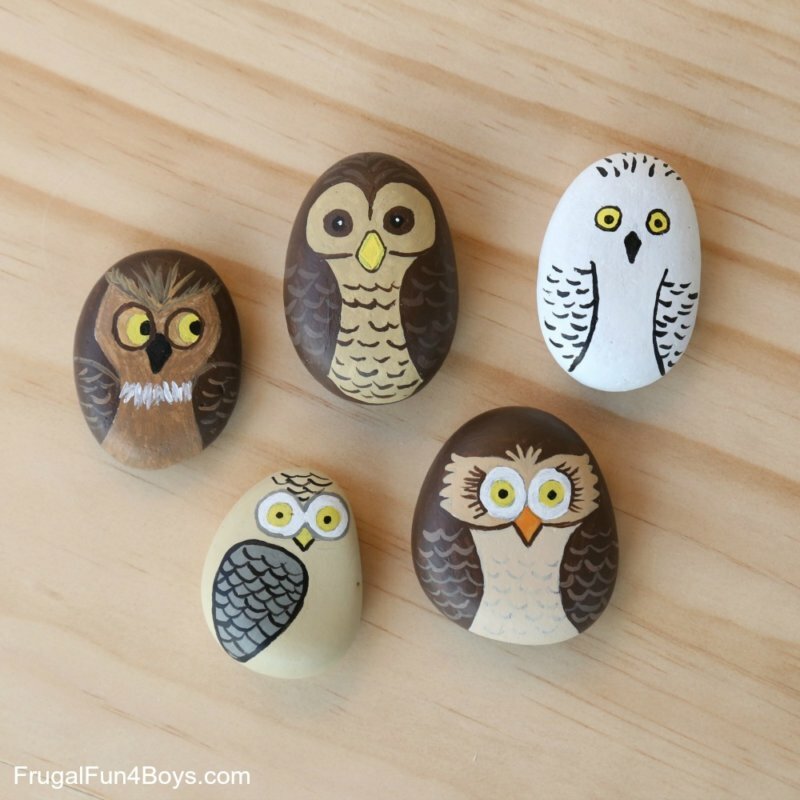 Not sure about your rock painting skills? 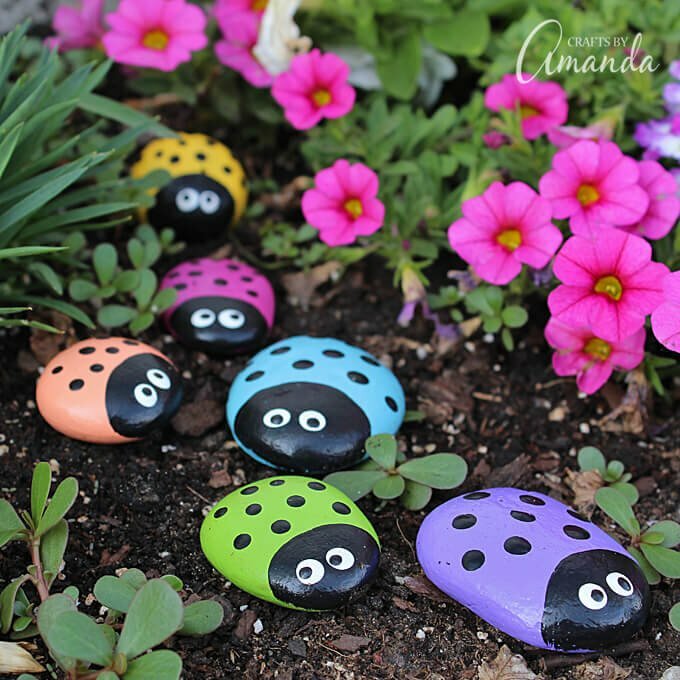 start with the easy to do ladybugs! I love that this could serve double duty outside as outdoor pretend play toys!